What is happening that is social media worthy? 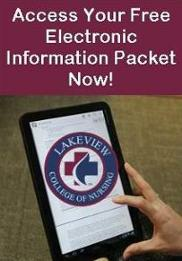 We'd love to share your thoughts and ideas on the Lakeview College of Nursing social media pages. Please fill out and submit the form below with as much information as you can. Contributions that include photos/videos will generally be seen and shared more on social media, so be sure to upload those, if possible. After you submit your suggestion, we'll review it, and may publish it on one or all of our social media channels (links to these channels appear at the bottom of our web site). Lakeview College of Nursing content managers reserve the right to edit and publish at their discretion. For an event, please submit item at least 2 weeks prior to when it is scheduled to happen. Items are not necessarily published in the order that they are received. What is this update about?